The latest expansion for Destiny, Rise of Iron, was barely a week old when there were already some news reports coming out that the next big release for the game, dubbed "Destiny 2" for now, would be changing things up. Not only would the series be making its way onto the PC, but the game may be so different from the original that players would be starting all over again. To be clear, no formal announcement about "Destiny 2" has been made by Bungie or Activision at this point other than the fact that it is coming sometime in 2017. The Kotaku news post from which this new information stems is based on intel received from sources close to the game's development or who work at Activision. Moving the game to PC seems like a natural progression for the series given that it left last-gen consoles behind with Rise of Iron. Not only would this open up the title to a whole new audience, but we may even see some form of cross-platform play. 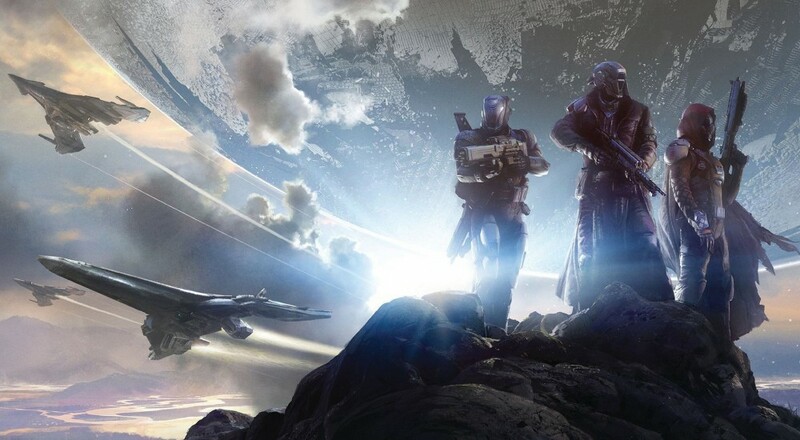 That can certainly be discouraging news for current Destiny players as it is unclear what all of their progression will get them, and, perhaps, a bit disheartening. The idea that Bungie proposed with the game initially was that throughout this ten year journey that will be the game's development, players would be able to take their in-game avatar with them. It seems those plans have changed. As a long-time player of the game, I have mixed feelings on this news. I'm glad to hear that it sounds like they'll be fixing some of the issues with the title. However, while I don't hold any particular attachment to my Hunter, Titan, or Warlock, I do have some attachment to the gear I've acquired in the past couple years. Rise of Iron did something right this time by allowing players to take all of their gear from Taken King and level it up to the new Light Level of 385; nothing got left behind like it did between "Year 1" Destiny and "Year 2." I'm sure there will be fun new exotics in "Destiny 2," but after all the effort put into earning some of the current exotics, will I really have to say goodbye to them all? There's certain gear that has a special place in my heart because it was earned through fun moments spent with friends. Will I have to go through and try to earn them all again? Will the whole thing get repeated for "Destiny 3?" At this point, all we can do is wait and see. See what other rumors come out, or see what Bungie or Activision have to say. Page created in 0.3095 seconds.